A customer was in this week who has been a celiac for most of her life and she is having some other issues. I asked her if her Thyroid had been checked. She was not 100% sure. 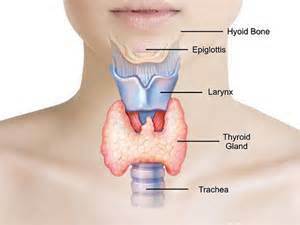 Many thyroid disorders are missed because the test is not part of the standard CBC that is often ordered. Disorders are common in those with Celiac Disease and Gluten Sensitivity. There are several different types of thyroid disorders, with autoimmune thyroid disease being the most common; Hashimoto’s Thyroiditis. *Anyone with Celiac Disease should be tested for Hashimoto’s and anyone with Hashimoto’s should be tested for Celiac Disease. If I had to make an educated guess based on our customers in the restaurant, about 60% of them have Celiac and Hashimoto’s Thyroiditis. I also have this and take Levoxyl daily (Synthroid has Milk in it). Click link below for more info and symptoms.